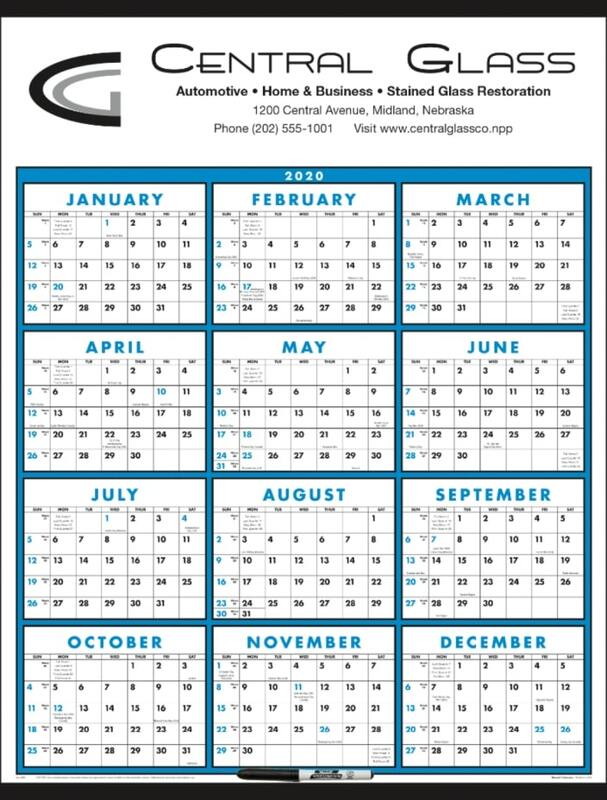 Laminated Blue Classic Year at a Glance allows collaborative interaction with dry erase feature. Applications are almost any business to business application & company referral promotion. Features are 80 lb. glossy stock, tinned top, bottom with hangers, Bic Dry Erase Marker.